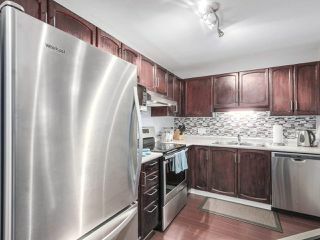 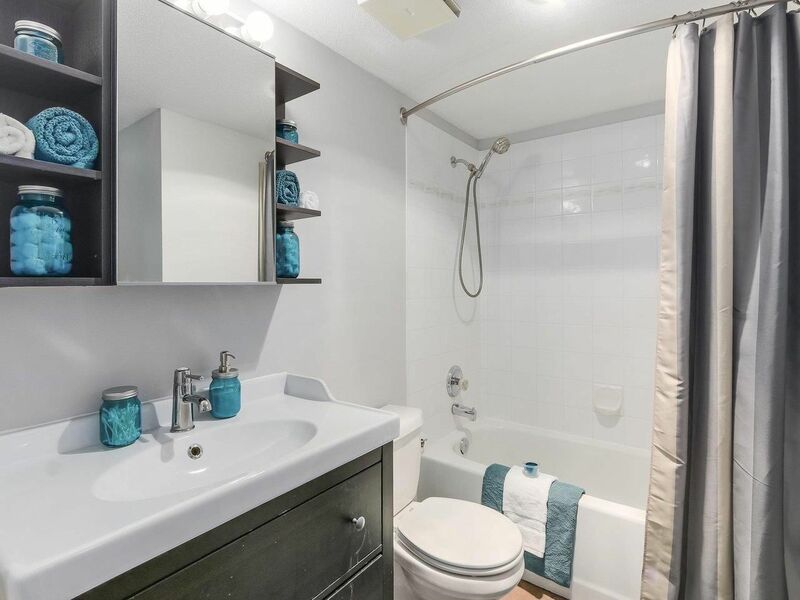 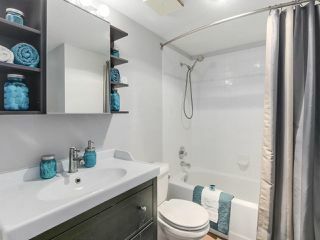 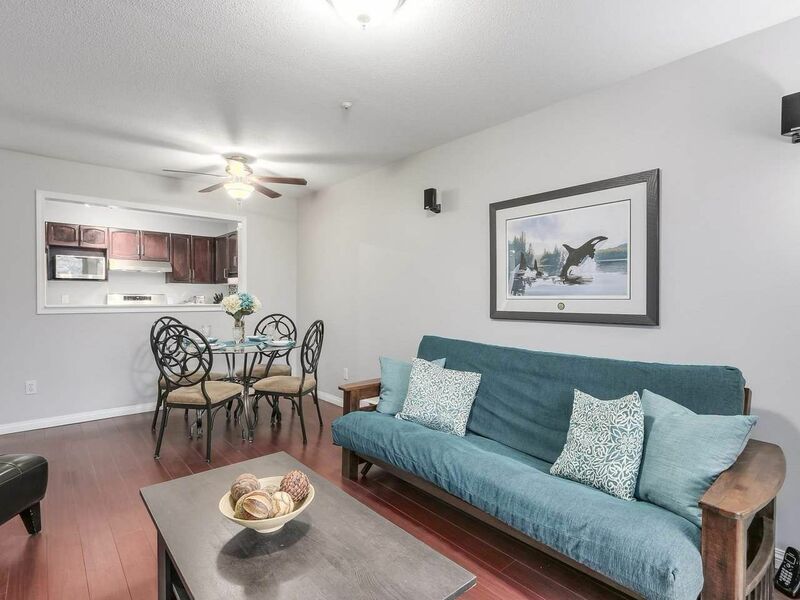 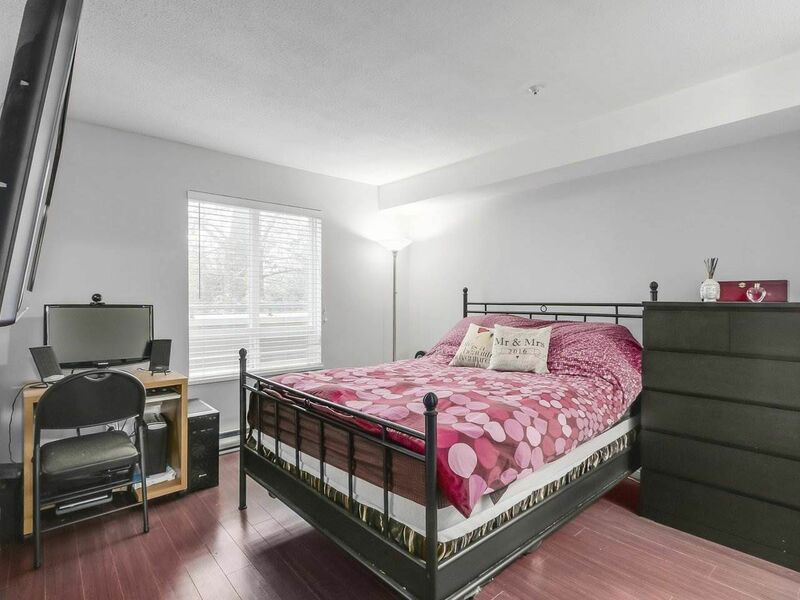 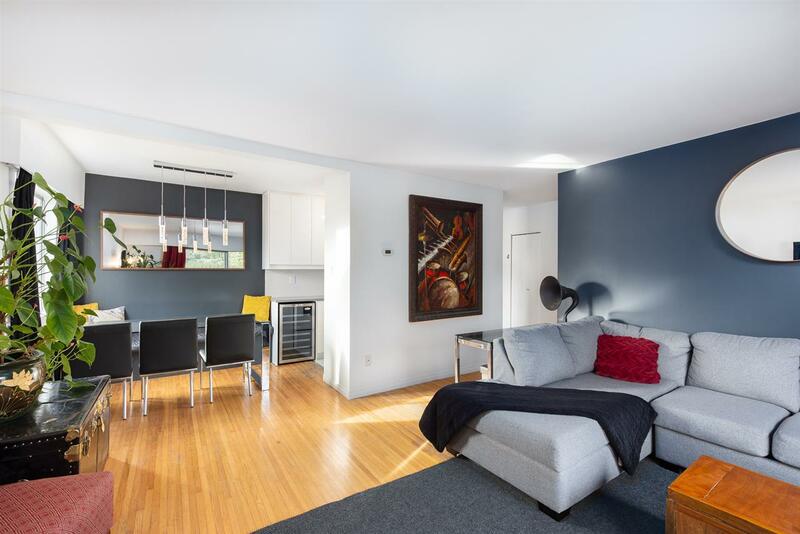 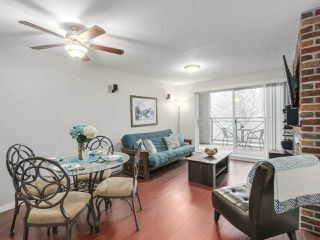 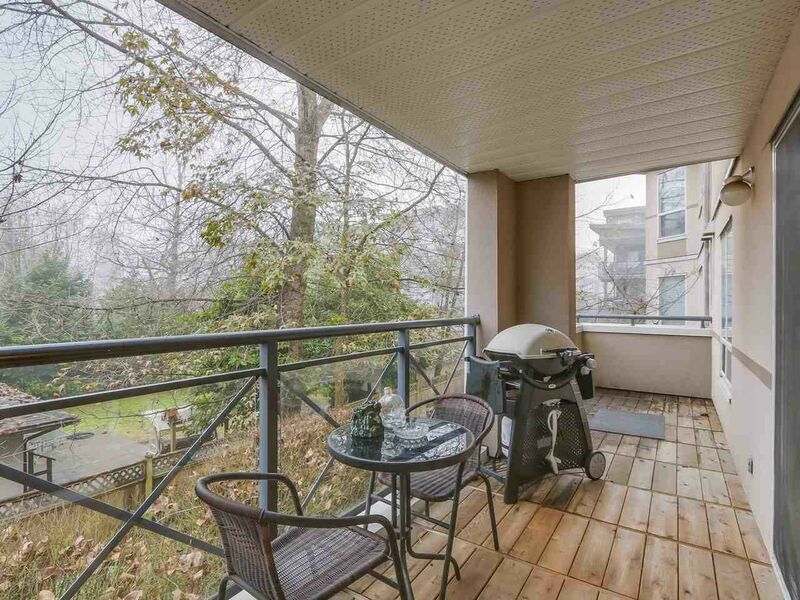 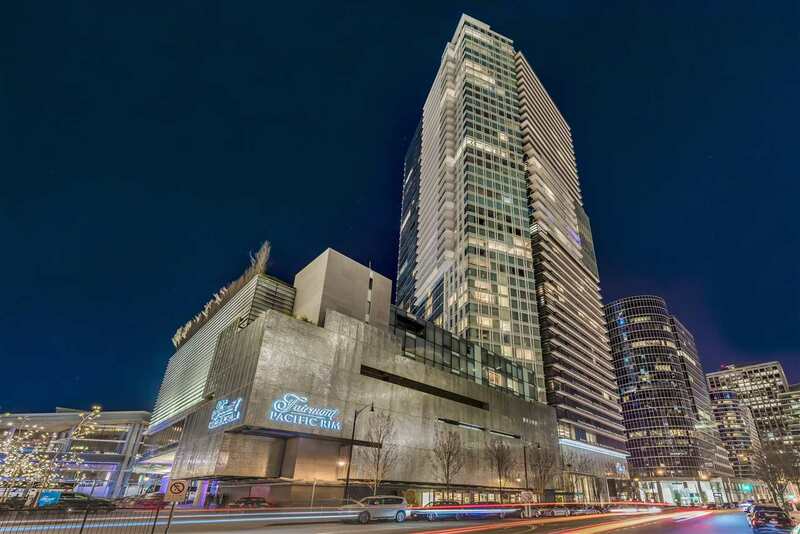 Spacious second-floor end unit with great open layout, large kitchen, and cheater ensuite bath. 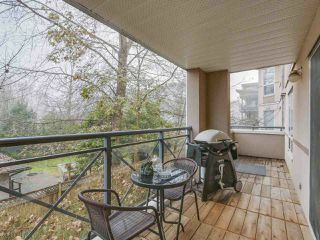 Enjoy a treed outlook while entertaining on your huge private patio with partial cover for year-round use. 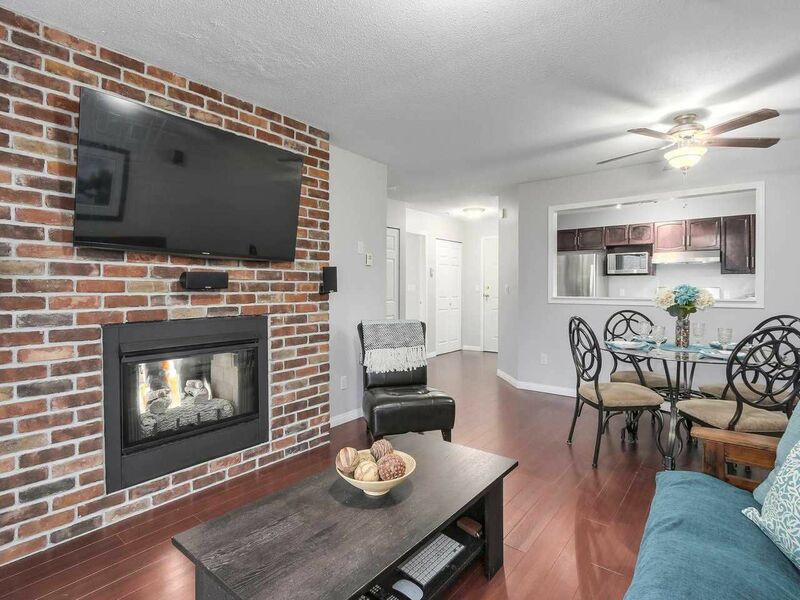 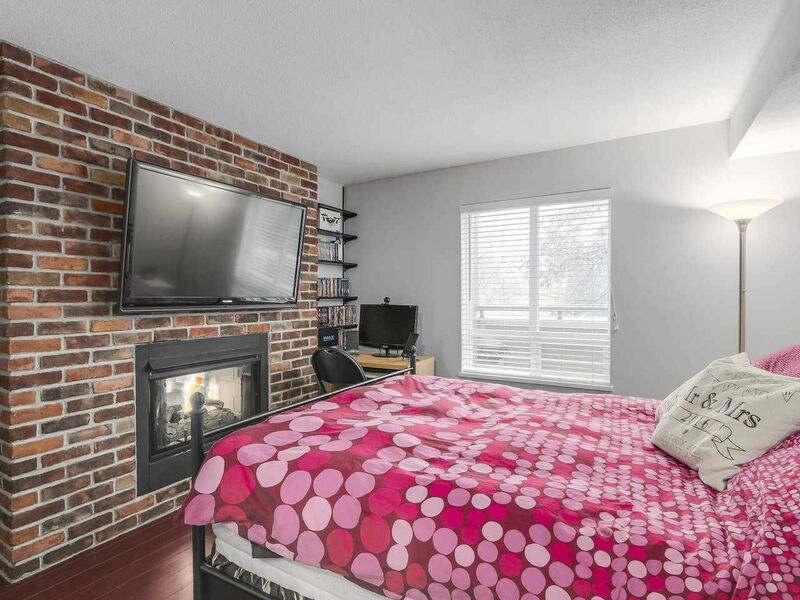 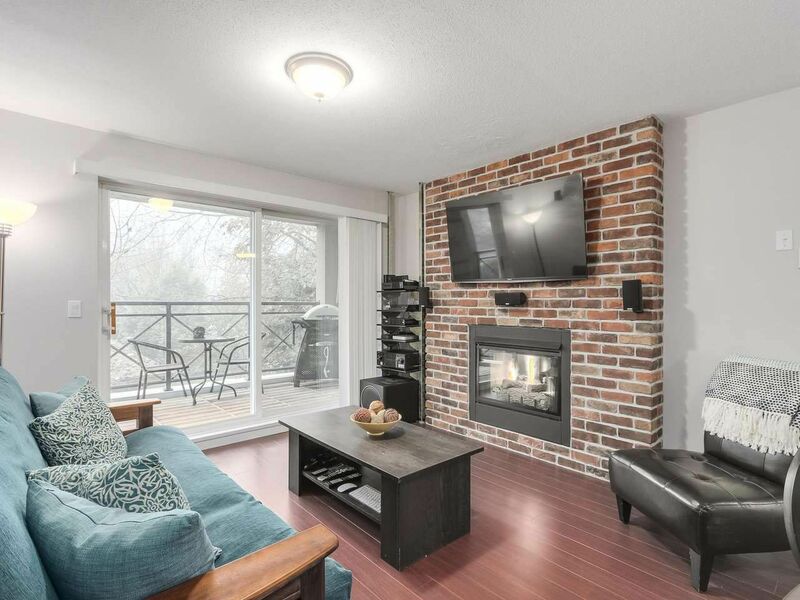 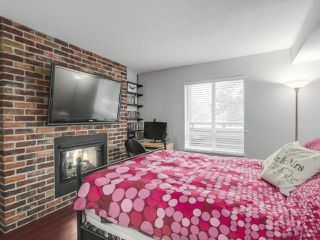 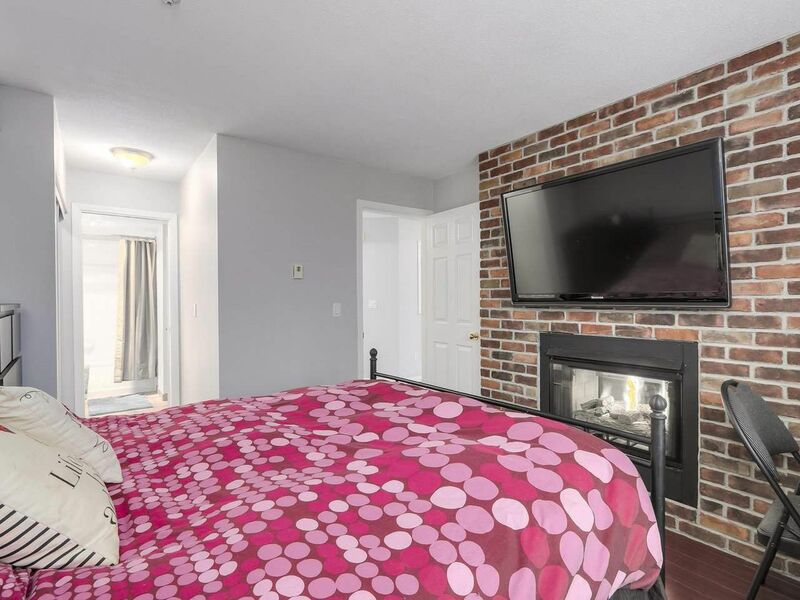 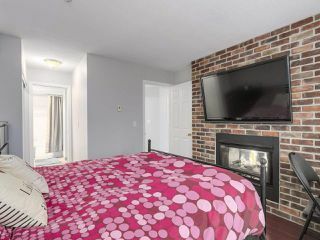 Snuggle up next to the cozy two-sided gas fireplace with custom brick surround in the living room & bedroom. 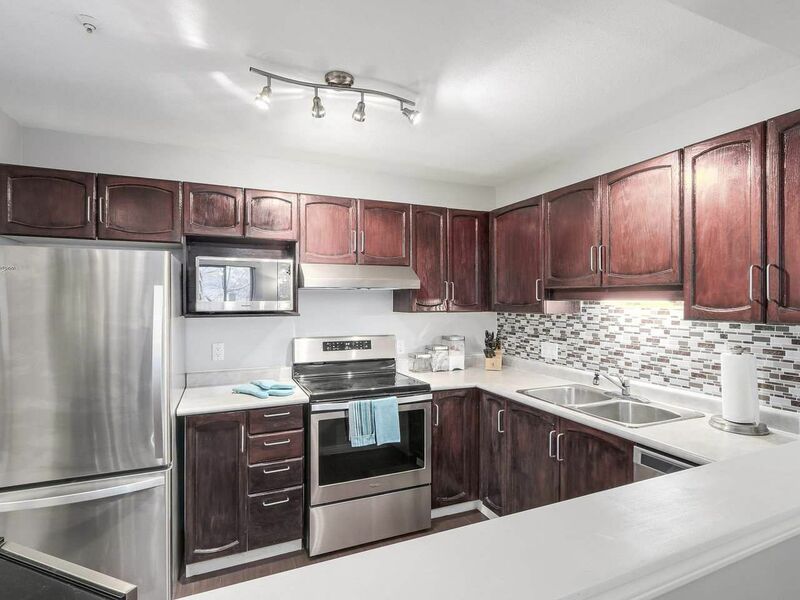 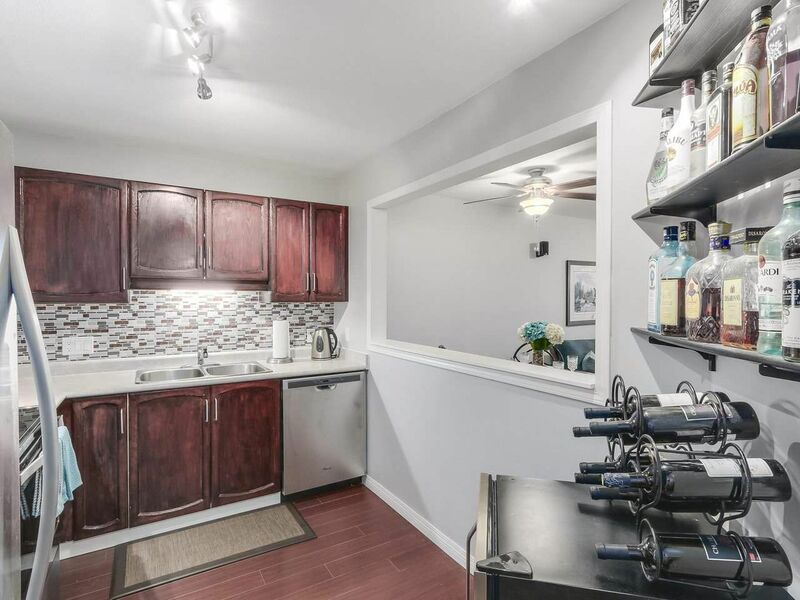 Brand new SS appliances, freshly painted, upgraded laminate floors, in-suite laundry, & more! Just move in & make it your own! 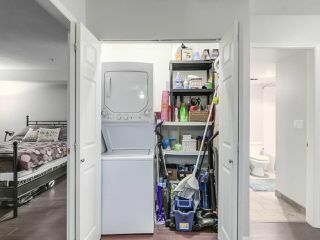 1 parking & 1 locker on the same floor as the unit. Well-maintained building with proactive strata. 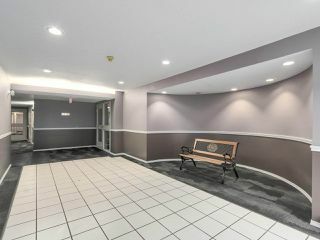 New carpet in common areas. 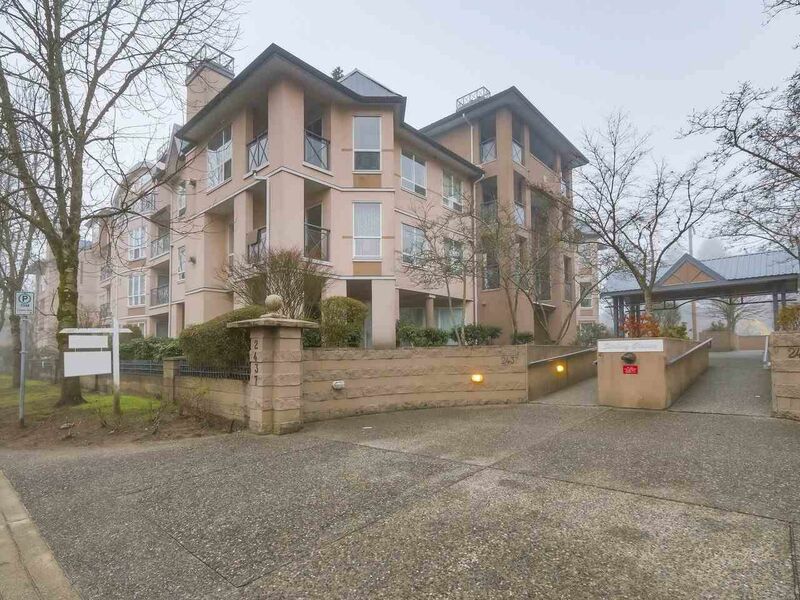 1 block from Gates Park & Riverside Secondary, 2 blocks to Shaughnessy St., close to transit, shopping and schools. SNEAK PREVIEW JAN 10, 5-7PM. OPEN HOUSE JAN 13-14.